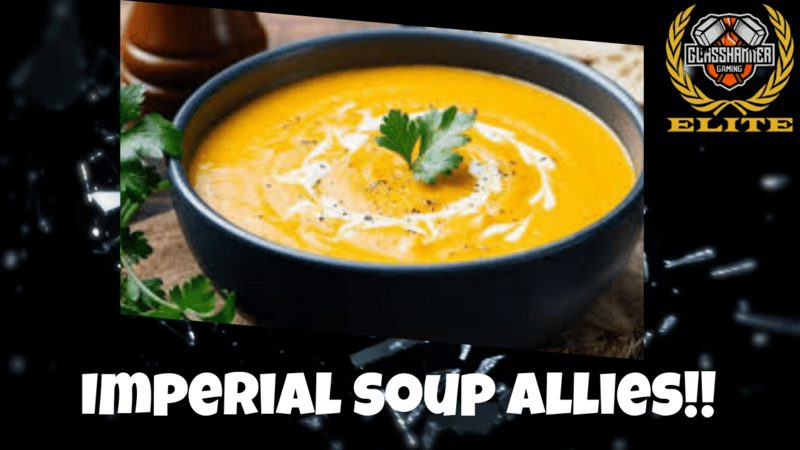 Home / Warhammer 40K / Tactics & Meta / Imperial Soup Allies – Top 5!! 5. Blood Angel Smash Captains This choice is most popularly seen as a battalion of 2 Smash Captains and 3 units of scouts for some extra command points. Personally I loved using these guys, they help imperial armies deal with elite units and especially big monsters and vehicles. These guys are slightly hit and miss because you can always fail the charge or fluff your attacks, or your opponent could get a little lucky with their saving throws and you’ve lost a captain for nothing. But this doesn’t happen most of the time so I still liked them. But the reason why these guys are coming in 5th place now is because the new rules meaning that “Fly” only works in the movement phase has really hit these bad boys hard!! I was gutted when it happened, had to switch up a bit. It just means that now people can screen of your smash captains and you can’t charge over the top of the screening units. Though this has swatted them down a little, they are still very useful, they just need to be used a little more reserved then before.